I'm so happy we can finally share these with the world! With all the rain we have been having it kept delaying Katherine's Bridal Shoot. So we went to the Hyatt downtown Greenville SC and had an amazing time with her. Dave McMillian with Memories by McMillian created her arrangement and Susan with Willrich Bridal was there to assist. Her dress came from Carolina Bride and Groom go check them out. 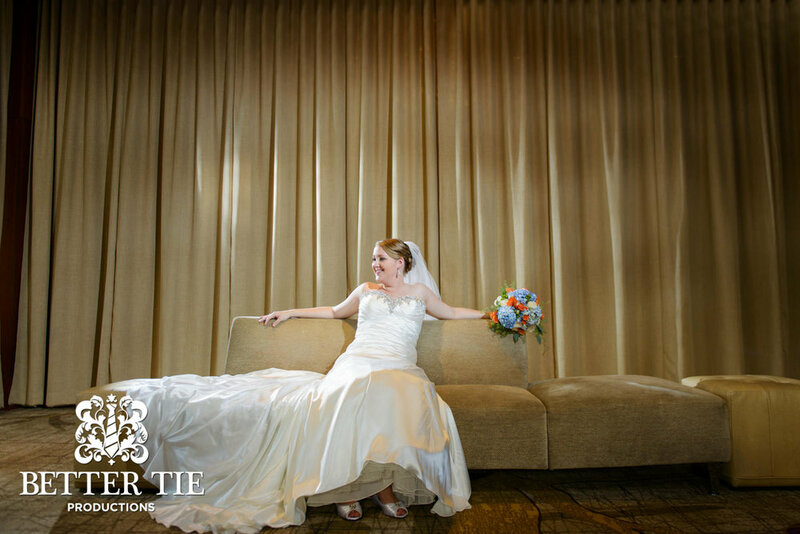 This is the beautiful Meredith, who we had the pleasure to work with on her wedding. We can finally show you some of her bridal portraits from the day we spent with her. We photographed everything on the families private island. You can also take a look at her and Johns wedding day, and also the lighting from her wedding as well. Like always leave some love and let us know what you think. We would LOVE to meet you and work with you on your amazing wedding too, so just shoot us an email today! I was so happy to hear that a good friend and fellow wedding professional Erika Ekloft was getting married! I was even happier to hear that she wanted us to photograph her wedding day. It was such a pleasure to work with her and be a part of all the amazing plans she had for the wedding day and did she ever produce! We have pictures coming soon of the wedding day. But first take a look at some of her bridal portraits photographed at Holly Tree Country Club. Leave some love and let us know what you think. Or even better shoot us an email and let us be a part of your special event. By now you know Jasmin. If not here are some of the other posts we have done about her and Kayson: Engagement Session, Uplighting, Wedding Photos. We had a lovely time with Jasmin and some of her family members that came along to spend special time with her. We photographed her bridal portrait session at Falls Park in Greenville SC. Here are some of her portraits from that day. Thanks for stopping by and we hope that you like what you see. Leave some love for the bride. Also email me and let me know how we can help you. OH MY GOSH!!! Jordan was a riot to work with, so vibrant and full of life. She actually gave me a run for my money trying to keep up with her amazingly fun personality. We met her and her mom (Nancy) earlier this year to talk about her wedding to Michael and all that she had dreamed of the day being. We also took care of all their lighting needs for the wedding as well. I will share some of their wedding day photos soon, but first take a look at just a few of her bridal portraits that we photographed at her parents beautiful home. Leave some love for this beautiful bride, and let us know what you think. Even better send us an email or call us us for your event.